More patterns. I don't have a lot to say on this one. 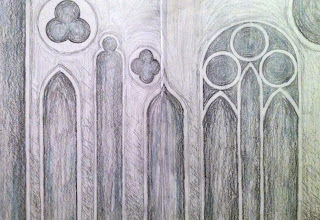 I looked up some gothic windows and architecture, and used the designs I found. ummm, yup. That's it. 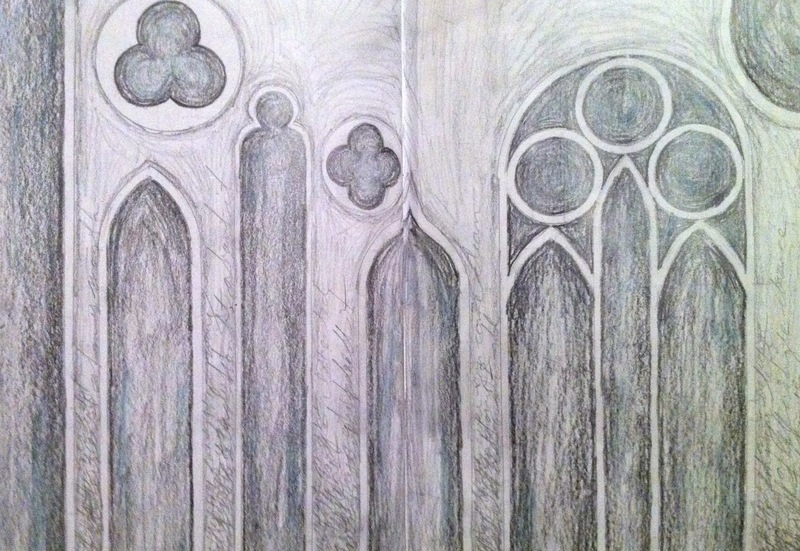 I like these architectural/structural drawings - it looks like it's turning into a mini-series! If only I could take a nice long vacation to England! I've been spending the last couple of weeks looking up strange and unique vacation spots, and just want to pack a little bag and my sketchbook and go! I love architectural details.